In Emotion’s restroom, Nakaji finds Linda who had passed out in a pool of blood, and rushes him to the hospital. Haru, Doctor and Peach who were notified by Nakaji also hurried to the hospital. Linda’s mother, Misako, is very grateful to Nakaji for sending her son to the hospital and at the same time is very touched by Haru and the others who rushed to hospital. Source: Sunao Ni Narenakute Official Website + Maze! After Nakaji finds out that his father Ryosuke is diagnosed with lung cancer, he receives a huge shock. 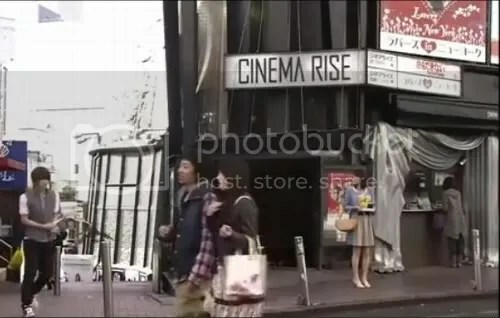 Knowing that his son has begun work as a cameraman, Ryosuke wants to take photos again, and asks Shouko to be his model. On one side, Doctor starts working part-time because he wants to give Haru a ring. But then, Doctor receives a letter saying that his father had collapsed. Because of that, he can’t not return to Korea, and therefore proposes to Haru, asking her if they can return to Korea together. Sorry for the delay in posting the article. we went to the place where doctor gave Haru a hug. That place…I know many should know the place by just looking at the scene. I knew that place, too!! 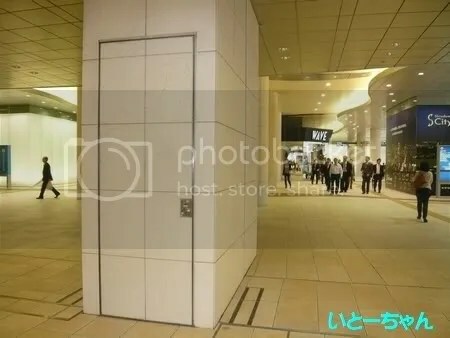 The place is Shiodome, where Nippon Television Network Corporation (which greatly supports Tohoshinki) is locatied. Let’s go! 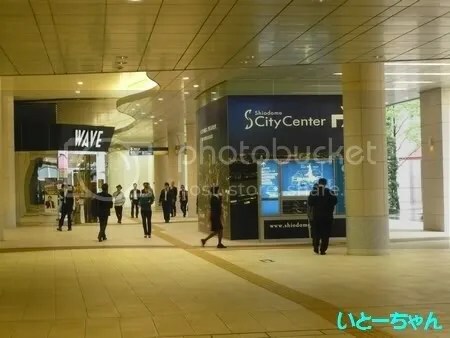 Since it is Shiodome, there were many coporate employees and female office workers. Together with K-san and Yu-chan, we were taking pictures talking, “Is this angle correct?” “This is the right one!”, etc. Many were staring at us, but when we 3 get together, there isn’t anything to be afraid of. 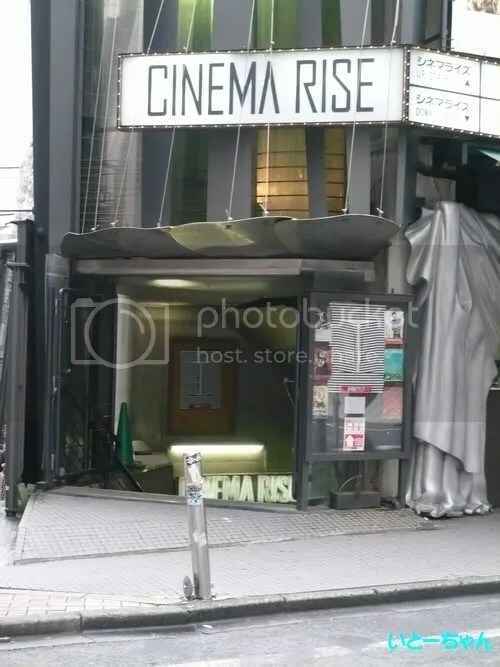 Was this the place where Doctor hugged Haru? We were comparing the capped image and the places many times, standing in the same place. I’m sorry that my caps are not so clear. Next time, Doctor, can you hug me instead of Haru? Yu-chan said “The café where Doctor knelt down on the ground in front of Linda is in Ginza~” so we started our research right there. 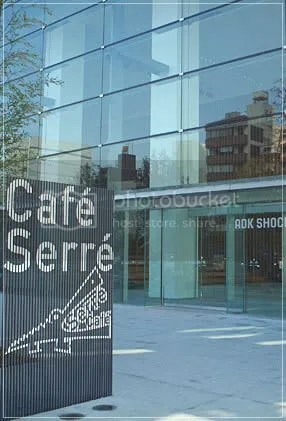 The name of the café is “Café Serre”, a very fashionable café just near the Higashi Ginza Station. There it was! It is on the 2F of ADK Shouchiku Square. Going in from the front entrance, there was a big & smart staircase. When you go up the stairs, you can find the café. There were people resting on the stairs, waiting for someone, and there were many industry participants.. maybe we came to the wrong place, but we had the nerve to go inside. It was just after lunch time, around 14:00, so there were not many people in the café. 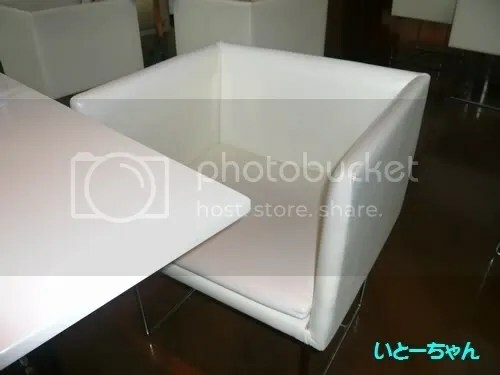 We took pictures of Doctor’s seat. We drank tea, and then, time was up for K-san and Yu-chan. They went back home. 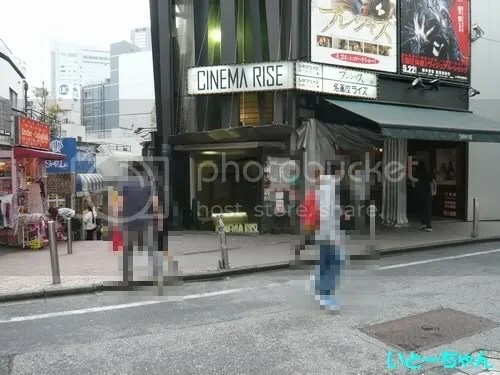 I had to go to another important place, so I went to Sunanare’s holy place, Shibuya. This is the place where Haru waited for Nakaji. A complete report on television drama “Sunao ni Narenakute” preview meeting and conference! Please say a form of greeting to everyone. Eita : I was really grateful when everyone came down specially while my leg was in a bad condition. You would probably understand by our current atmosphere; the five of us were still in the midst of filming last night actually. 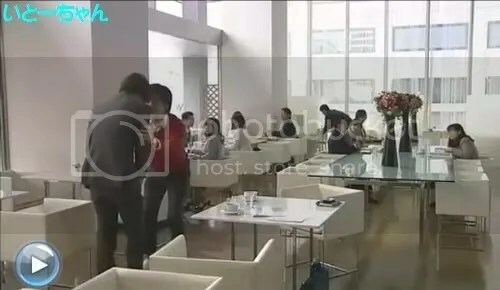 We filmed the drama within a very harmonious atmosphere so the filming was done very smoothly. To be able to be involved in this drama that is featured every week, and allow the audience to look forward to the next episode each week is really a joy to me. Ueno Juri : I’m Ueno Juri, and I’m playing the character of Haru. I am really happy to be able to be part of the group of five to act out in this drama. My heart is racing now because I have not watched the first episode, the director’s performance was also very natural, and when I noticed it, I started tearing so I was able to display the feeling of sadness. I used very natural emotions to act. JeJung : Hi everyone, I am JeJung. I play the role of DOCTOR in this film, and I am unusually excited today (laughs). I am very grateful to be able to be here today. I was very nervous initially as this is my debut in a Japanese television drama, but because everyone who were involved in the film were very kind towards me, so I thoroughly enjoyed the entire filming process. I have not watched the first episode too, so I will be very happy if we can enjoy it together. Seki Megumi : I’m Seki Megumi, and I play the part of PEACH. This is the first time I have been casted as one of the main cast in a drama and I will give my best effort. On the grand scenes of the filming, I will also determine to give my utmost best . Tamayama Tetsuji : I decided to take up this drama about half a year ago. I did ask myself what kind of feeling do I want to bring about? After one or two months have passed, I told myself initially that I only have to act out the part where I suffered from sexual harassment at work (laughs). There were also other enactments, and my heart was lifted up higher and higher after hearing all that (laughts). Eita : I really want to watch the second episode (laughs). Even though it is only fictional, the momentum and atmosphere of the drama is very good, I feel it is very dashing. Ueno Juri : I discovered many scenes of depression or heaviness after reading the script, but there were also moments of happiness. It is the same for the other characters. I know the script, and it felt like all five life stories were progressing at the same time. There are a few scenes that left a deep impression on me, but the one that left the deepest one was probably then the five of us saw the Tokyo Tower turn green at the same time. Tamayama Tetsuji : Everyone watched it together at the resting room, and when it featured the kiss scene between me and the editor, I heard JeJung, who was in the next room, go “NAHHHHH! !” (laughs) But JeJung had seen the script before, so he knew about the details. 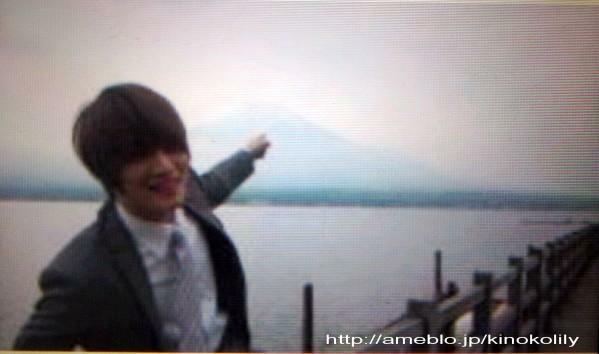 JeJung : But seeing the image…(laughs) It was really interesting though! JeJung : Yes…however, DOCTOR’s character is such that no matter how tough it is, he would be able to get through it with a lot of effort and hard work. He has always been so from the start. What are your thoughts towards Twitter? TVXQ member Kim JaeJoong has attracted much attention through his recent Japanese drama series ‘Sunao ni Narenakute’ with his fluent Japanese skill. 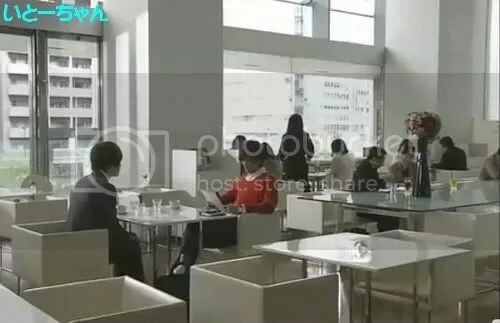 JaeJoong is currently in the Fuji TV drama series ‘Sunao ni Narenakute’ where he portrays a salesman for a company that sells medical equipment. He has received lot of compliments for a language skill that is almost at the same level as of those who have Japanese as their mother tongue. An insider expressed that five years ago during TVXQ’s debut activities, JaeJoong can only use the basic Japanese to communicate, his ability described as ‘barely enough for communication.’ However, the JaeJoong today is able to express himself freely in daily conversation, and he has improved tremendously. Now, the past comment of “JaeJoong’s acting in ‘Sunao ni Narenakute’ is relatively indifferent” has been replaced by “Even with influential Japanese actors or actresses like Ueno Juri, he is able to perform well without any inferior or retrogress” kind of remarks. Haru, who found out about Peach staying overnight at Nakaji’s place, was shocked. Nakaji, went to visit his father Ryosuke’s house, bring along the magazine that featured pictures he took. There, he meets Haru’s mother, Shouko, who was worried about Ryosuke’s condition. Doctor goes on a date with Haru to watch a movie. On the way back, Doctor sends Haru home, but she tells him that she wants to know more about herself, and invites him in.